The Nanny that is perfect for your family is represented by ABC Nanny Source's Nanny Agency in Staten Island, NY! Being a part of a Nanny Agency in Queens NY, Lucrecia has developed the experience needed to be a wonderful fit for your family! "I am an honest, hard- worker, who is also very responsible and funny. I am not afraid to tell the truth to anybody. I grew up in a very large family. My parents taught us to be concerned for each other. I’m sure from there I learned how to understand and protect children. I want to be a nanny because I perfectly understand children’s needs; children need to be comfortable, safe and happy to learn. I know how to make them feel like they are in a safe environment. If I was asked to describe in one sentence the reason I have chosen to be in the Nanny profession over any other it would have to be because I love children, I have experience with children and I know I am a good candidate to do this job. I have been serving in some form of childcare experience for over 15 years and can honestly say I know and love what I do! I feel the children are Innocent, spontaneous, and open to learn anything you can teach them. If I had to describe myself in five adjectives I would say that I am honest, a hard worker, spontaneous, funny, and loving. Activities that I would like to incorporate in the daily plan for the family I care for would include educational games, and experiments (science). If asked to describe the perfect family seeking a Nanny like me I would hope they would be a busy and loving family. I would love to be a part of this Nanny Agency in Queens, NY." "In the childcare field, there simply isn't a more qualified, caring, or competent person than Lucrecia! She is very patient with children and always puts herself in that person's place. That allows her to relate on their level. She is a person of the highest character and I trust her impeccably. I've known her for many years and she is always solid, reliable, and capable of dealing with ANY kind of situation in the most mature manner! She would be valuable to any family." "I have worked in special education with Lucrecia for four years; she is a very dedicated and caring person. 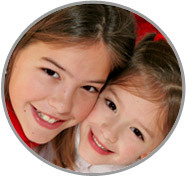 I would highly recommend Carol for a nanny position through this Nanny Agency in Queens, NY. I know how much children mean to Carol; she has the ability to adapt to the special needs and requirements of all the children she works with. Carol will always brighten your day with her smile and kind words and ease your worries with her strength and confidence!" 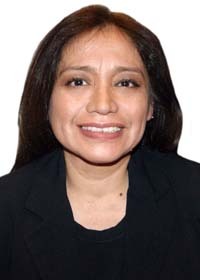 "I have known Lucrecia for six years, not only as a co-worker, but also as friend. She is truly a dedicated worker, who has many talents as well as patience, and is very responsible and professional in all areas of her work. I know she would be an excellent choice and an asset to a family! Lucrecia is always there to lend a helping hand, whenever needed, be it work related or just being a friend. She is very supportive to her co-workers!" "Lucrecia is a very loyal person. She carries herself very well and always has a positive attitude when it comes to her personal and professional life. In the short time I knew her, I could confidently state that she would take on any challenge headfirst and to the best of her availability. She will see projects to completion! She would be a wonderful part of your Nanny Agency in Queens, NY."